[01:52:00] A lot of groups are looking at genetic. If this is a genetic syndrome, it's going to happen. What is going to make a difference is when it's going to happen. So are you going to need cardiac surgery? Are you going to have an inflammatory disease? Are you going to get older? But it's going to happen. The matter is when, and why at that point of your life. That could be what extreme exercise can do. It might change the time of manifestation, but it's not going to make a difference overall. Dr. Marrouche: So, let me add to this, this is from the myopathy or the fibrosis data. If you look at endurance exercise, everything is made in life in moderation. Everything we should do with our body, I think, and everybody agrees, moderation. Don't eat too much, and don't run too much, as well. We're looking at a study we're doing in Utah. So there's a lot of bikers and people doing skiing and outdoors in Utah. 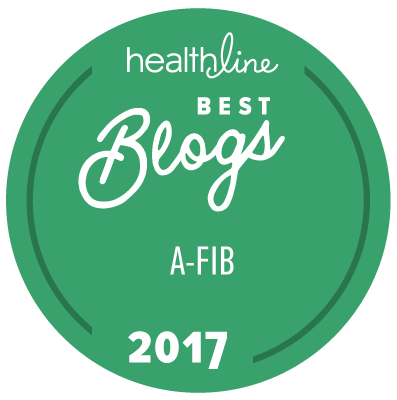 We're looking at the amount of fibrosis without afib. [01:53:00] If you do more than two or three hours a day of cardio exercise to bring your heart rate up, your risk of having more fibrosis is there. Now, but what that means long-term, if you look at what Andrea is saying about the afib patients, afib is on top of this fibrosis. What that means later, there's enough data to show that afib may happen in these guys, but it seems to us, from the data presented as well for these athletes, that's why we don't discourage people from doing exercise, so it's great. Don't stop. I'm talking about people who do two–three hours a day, which is very rare unless you're a massive biker. Still, these guys don't seem to have a lot of problems with this afib, even if it happens after life. So yes, they have more fibrotic data, but what that means, we're still trying to understand what's the effect. So, don't stop exercising, please. That's the bottom line. Shelley: It seems as though when I was training twice a day, around six hours a day, it didn't bother me then, but later on in life, it did. [01:54:00] Dr. Natale: Okay. Maybe this is . . . The afib? What did bother you? Shelley: The afib. I was diagnosed in 2005, 2006. So earlier in my earlier days, when I was training hard, twice a day, it didn't bother me. But later on in life, it did. Dr. Natale: This is a progression of the disease, obviously, from multiple, the structural remodeling and everything associated with afib, unfortunately. Dr. Kowal: So, thank you for all our speakers. I hope you appreciated how complex a process this is.